Do you love Japanese curry? 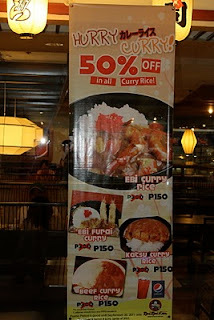 Well, Rai Rai Ken is serving all their curry rice dishes at 50% off. This promo will be until Sept. 30, 2011. 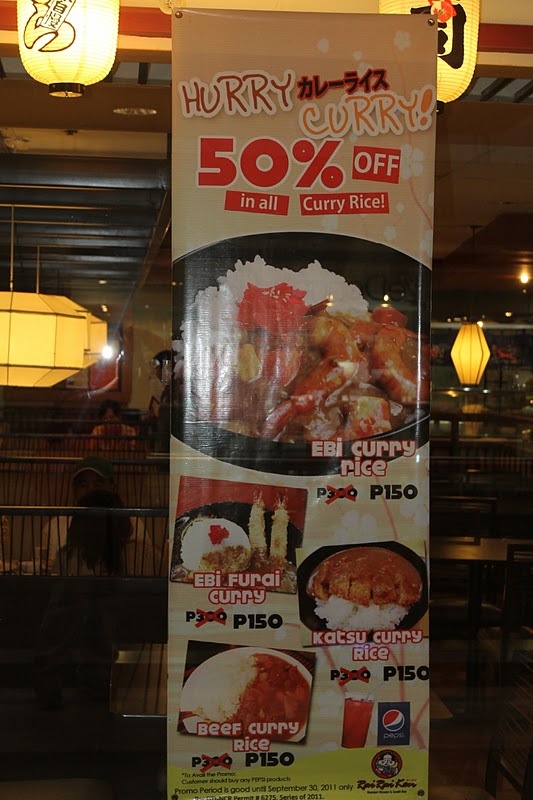 From 300 pesos, the Ebi Curry Rice, Ebby Furai Rice, Katsu Curry Rice, and Beef Curry Rice will be sold at 150 pesos only. You have to buy a drink in order for you to avail of this big price-off. Hurry now and grab some curry at Rai Rai Ken. 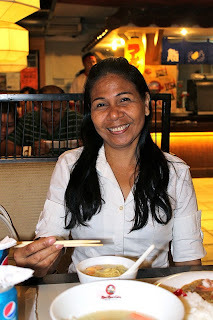 They have branches at SM City, Robinsons Place, Ayala, BTC and many other places in Cebu.